It’s never a good time when your air conditioning system breaks down and it’s even worse when you have to replace it. When you call us at Edwards Plumbing and Heating for air conditioning replacement we understand that it needs to be taken care of quickly and efficiently. We give you our word to make the process as easy and painless as possible. Our highly trained NATE certified technicians can handle all of the details of any project concerning your air conditioner and if a replacement unit is needed they can recommend a replacement system that will be energy efficient and perfect for your home. Here at Edwards, we want all of our customers to be as comfortable in their homes as possible. We believe that being able to recognize any signs that your air conditioner is on its way out is a great way to get a head start on any problems. It is true that most homeowners are not air conditioning experts so want to help you know what signs to watch for that will give you an idea that your air conditioning unit may need replacing. 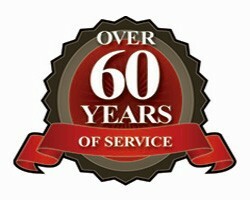 Our rule of thumb for age on an air conditioning unit is about 20 years. Heat pumps are at about 10 years. If a unit is older than 20 years, you should upgrade to a new unit for better efficiency and reliability. 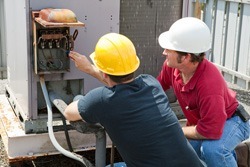 Your air conditioning system should be able to operate for a long time without needing any kind of professional repair. But if your system starts to break down consistently, you may want to start thinking about investing in a new system. It could make more financial sense to replace your system instead of continuing to pay for repairs. Your air conditioning system can use quite a bit of energy in order to cool your home and this is usually an acceptable cost to pay in order to stay comfortable during the summer. However, if you notice an increase in your energy usage without a corresponding increase in the amount that you use your air conditioner, it could be a sign that you need to replace your air conditioning system. Call us today, at Edwards Plumbing and Heating, and let us assist you in making your home as comfortable as possible during the hot summer days. We will be glad to guide you in your decision on whether or not you need a new air conditioning unit as well as help you choose a cost efficient system that makes the most sense for your home and your needs.